Like be the mix of plaid and leather and your pumpkin pictures are too cute! 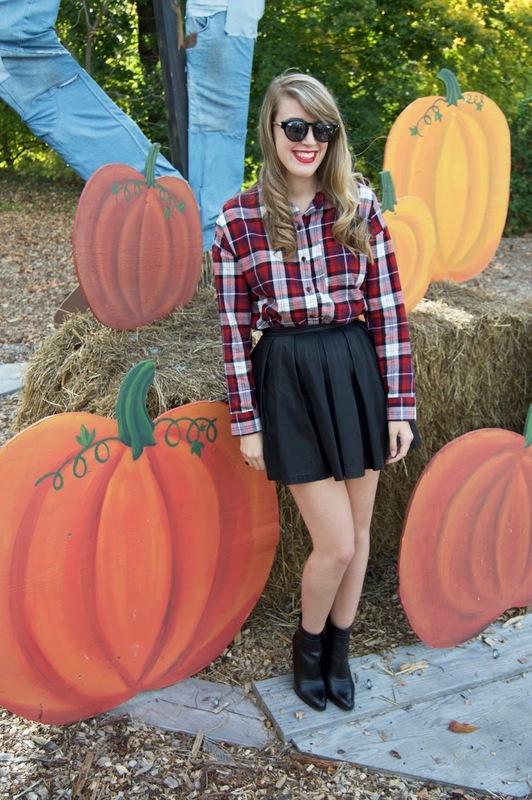 Loving how that plaid shirt looks with the black skirt! 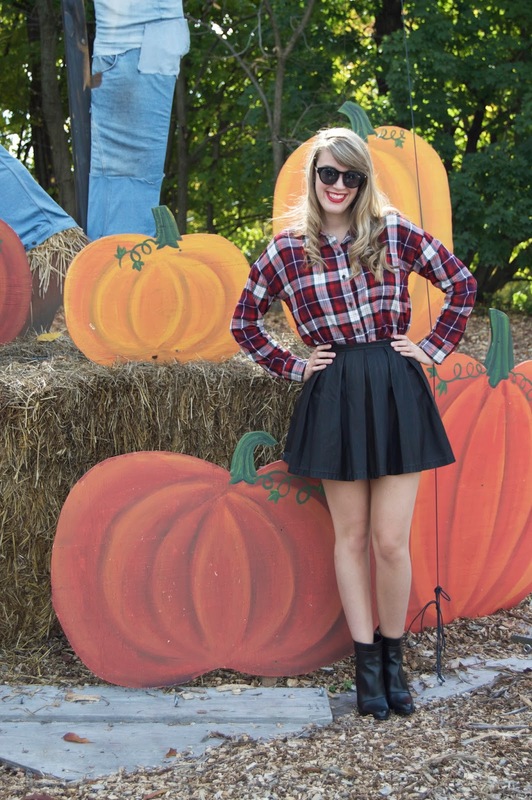 Leather skirts have totally been my jam this year!! 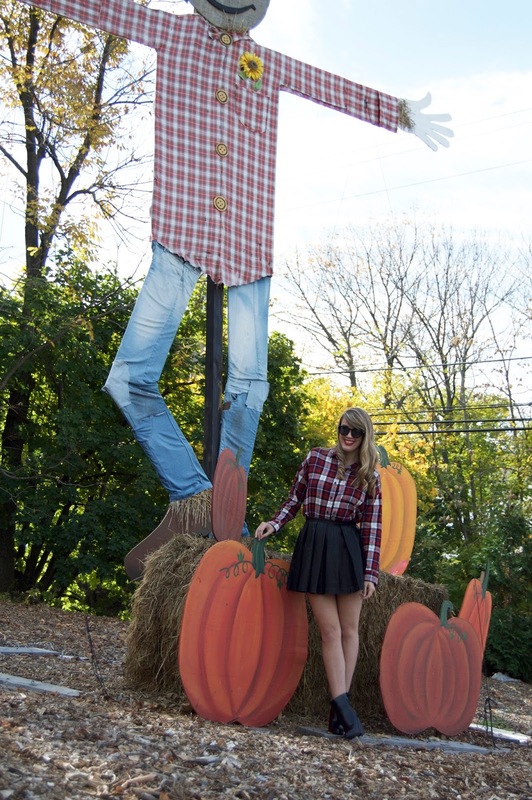 I love how you made it even sassier with the plaid--great look!! 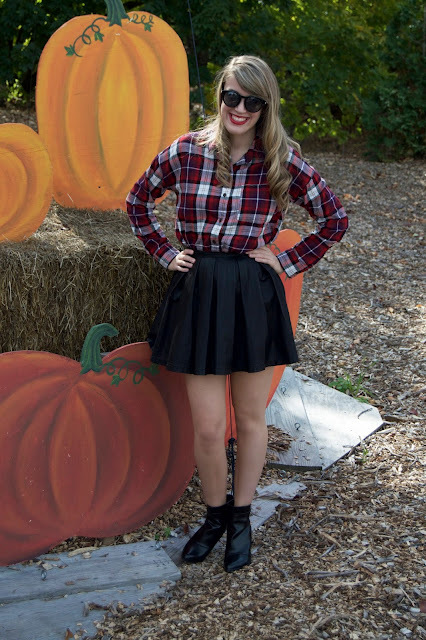 Loving your plaid and leather! Those booties are fantastic. 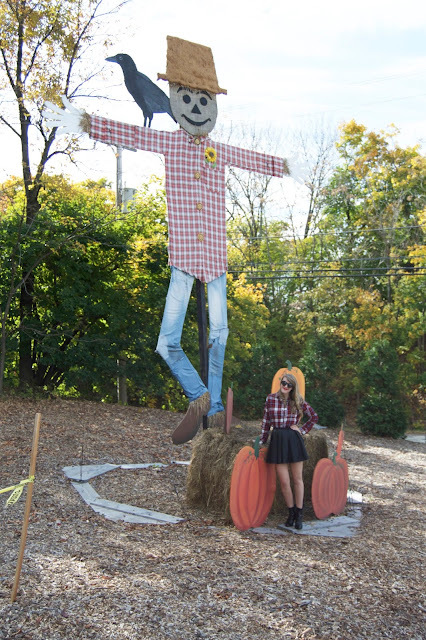 That scarecrow is seriously HUGE.